Want a hassle free honeymoon departure, in style and on time! Start your new married life from the time you leave your wedding reception in style by hiring a stretch limo. You will be able to begin your honeymoon celebrations right away, sit back and enjoy some privacy in the back of the limousine and indulge in the complementary honeymoon champagne. 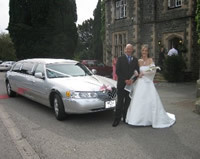 Let Limotek.co.uk send you off in style with limo hire for your honeymoon. 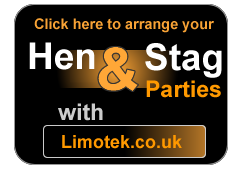 Limotek.co.uk are here to help make things easy and extra special and have access to a vast array of different limousines from a standard Stretch Lincoln limousines, H2 Hummer limousines, H3 Hummers, Range Rover Vogue limousines, Porsche Cayennes, Ford Excursion limo rental, Lincoln Navigators, BMW limos, Jeep Expeditions, Party Buses, Fire Engines, Chrysler 300c limo hire and even the new Audi Q7 limousine. Limousine hire for a honeymoon can be used with our chauffeur driven stretched limousines as we have access to over 300 vehicles all over the UK. Our limousines come in vast array of colours such as pink, black, silver, white, gold, red and even orange; so the choice is entirely up to you. Please be aware that honeymoon limousine hire can be very expensive, as all our limousines are hired on a first come first served basis. This means you should contact us as soon as you are ready to book as we are more likely to get you a cheaper price. Please contact our office on 0871 789 9911 with as much information as possible as we would need to check specific details and availability. 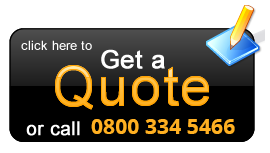 Alternatively, you can just do an online quote and a member of our sales team will call you back within a few hours.